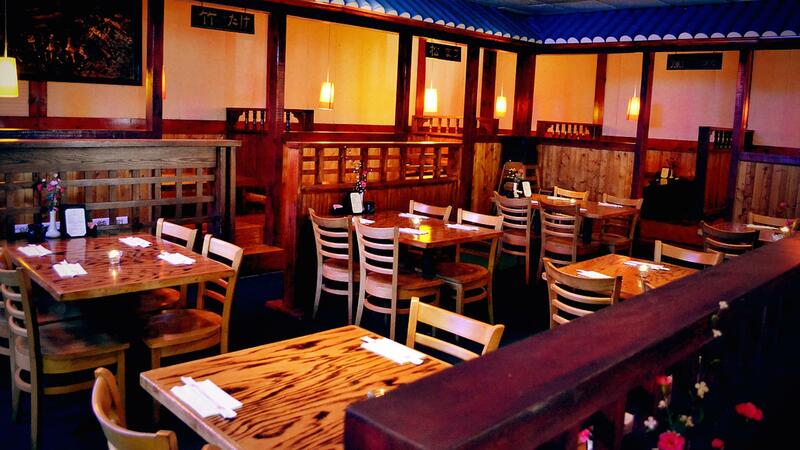 Rent Ichiban Restaurant | Corporate Events | Wedding Locations, Event Spaces and Party Venues. Ichiban started out as a simple sushi restaurant, became a hot spot for sushi connoisseurs and those seeking traditional Korean food. With big portions and delicately crafted presentation, Ichiban chefs provide s quality food to every one that walk over our koi pond bridge and through our doors. Head sushi chef, Eddie is the son of Ichiban's Korean owner. (We like to call his dad "Boss.") Eddie is usually the first person to say hello when a customer walks in, and always says thank you when someone walks out. When he isn't busy making carrot butterflies to decorate sushi plates, he's showing off pictures of his 1-year old son. A family-man, Eddie sticks by this restaurant for his father, wife and son to provide a great family-friendly dining experience. He does his best to make customers feel comfortable. If he catches you at your table alone for too long, he might send a plate of fried fish sticks your way. Feel free to sit at the sushi bar the next time you come by and strike a conversation with our very kind, chef Eddie! Upon entering the restaurant, you quickly notice the front has a beautiful koi pond that is filled with a variety of large koi fish. The fish are rather big now, since you have the option of feeding it. Just add a dollar to the koi fish money box and grab yourself the pre-packed fish food. Especially fun for kids! Once you step into the restaurant, a waiter will greet you and ask if you'd like to sit in a table or booth. (Or you could seat yourself at the sushi bar.) Booths are cool at other places, but they're especially cool here. We have the traditional sunken Japanese booths. So you're required to take off your shoes. For some it's a more comfortable and private dining experience, for others it's not their cup of green tea.